Established in 1945, Tata Motors exists along the length and breadth of India. Over 7.5 million Tata vehicles play on Indian roads, since it was first rolled out in 1954. The company's manufacturing base in India is being spread across Jamshedpur (Jharkhand), Pune (Maharashtra), Lucknow (Uttar Pradesh), Pantnagar (Uttarakhand), Sanand (Gujarat) and Dharwad (Karnataka). Following a strategic alliance with Fiat in 2005, it has set up an industrial joint venture with Fiat Group Automobiles at Ranjangaon (Maharashtra) to produce both Fiat and Tata cars and Fiat power-trains. The company's dealership, sales, services and spare parts network comprises over 3,500 touch points. 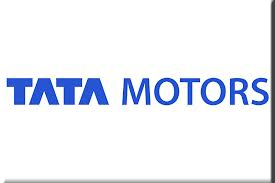 Tata Motors Limited is India's largest automobile company which has consolidated revenues of INR 1,88,818 crores (USD 34.7 billion) in 2012-13. Tata Motors listed in the New York Stock Exchange in September 2004, has emerged as an international automobile company. Tata Motors is also expanding its international footprint, established through exports since 1961. The foundation of the company's growth over the last 68 years is a deep understanding of economic stimuli and customer needs, and the ability to translate them into customer-desired offerings through leading edge R&D. It has over 4,500 engineers, scientists and technicians working in the company's Engineering Research Centre which was established in 1966. Tata Motors also introduced India's first Sports Utility Vehicle in 1991 and, in 1998, the Tata Indica, India's first fully indigenous passenger car. In January 2008, Tata Motors unveiled its People's Car, the Tata Nano. The Tata Nano has been subsequently launched, as planned, in India in March 2009, and subsequently in 2011 in Nepal and Sri Lanka. A development, which signifies a first for the global automobile industry, the Nano brings the joy of a car within the reach of thousands of Indian Middle-class families. Tata Motors is equally focussed on environment-friendly technologies in emissions and alternative fuels. It has developed electric and hybrid vehicles both for personal and public transportation. Tata Motors provides its products and services on a global basis. In India it provides products and services in five categories viz passenger cars, commercial passenger carriers, utility vehicles, defense vehicles and trucks. In passenger cars' section it offers Indica Vista, Indigo XL, Indica V2, Indigo, Indica V2 Turbo, Indigo Marina, Indica V2 Xeta, Indigo CS, Indica V2 Dicor and Fiat Cars. In utility vehicles section it offers Safari Dicor, Sumo and Sumo Grande. In trucks section Tata Motors offers medium and heavy commercial vehicles, light commercial vehicles, intermediate commercial vehicles, small commercial vehicles, Tata Novus and TL 4×4. In commercial passenger carriers section Tata Motors provides buses, Magic and Winger. The Tata group's kinship with the environmental cause has resulted in a slew of initiatives that place the good earth above bottom lines.Balancing the imperatives of creating jobs and selling products and services with the absolute necessity of protecting and regenerating what remains of the natural environment is an onerous challenge being taken up by Tata Motors.